One more from my postcard record collection. 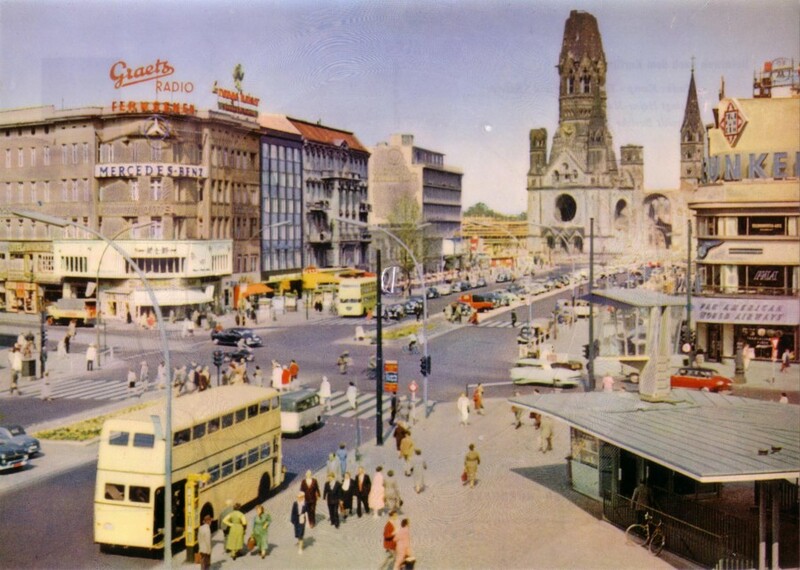 Pictured is the Kurfürstendamm in the 50s, Berlin`s main street for shopping until the fall of the wall. 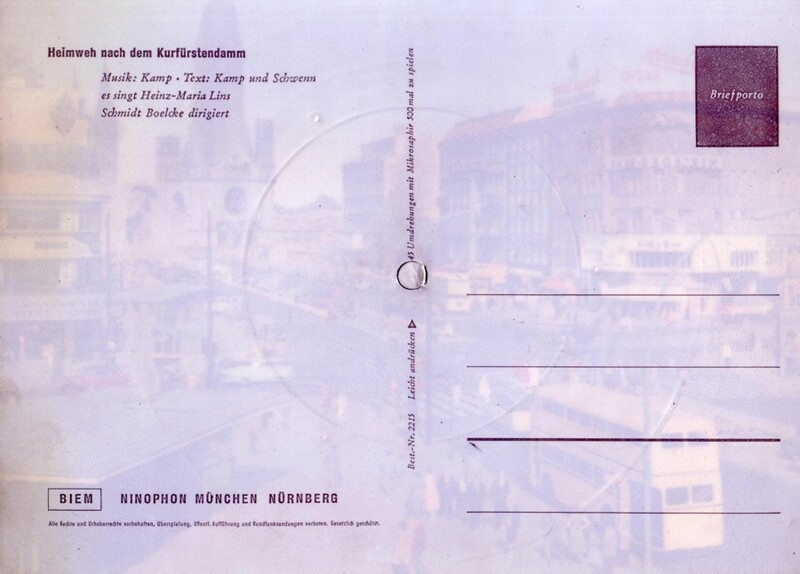 The song “Heimweh nach dem Kurfürstendamm”(“I`m feeling homesick for the Kurfürstendamm”) was made famous by Hildegard Knef. 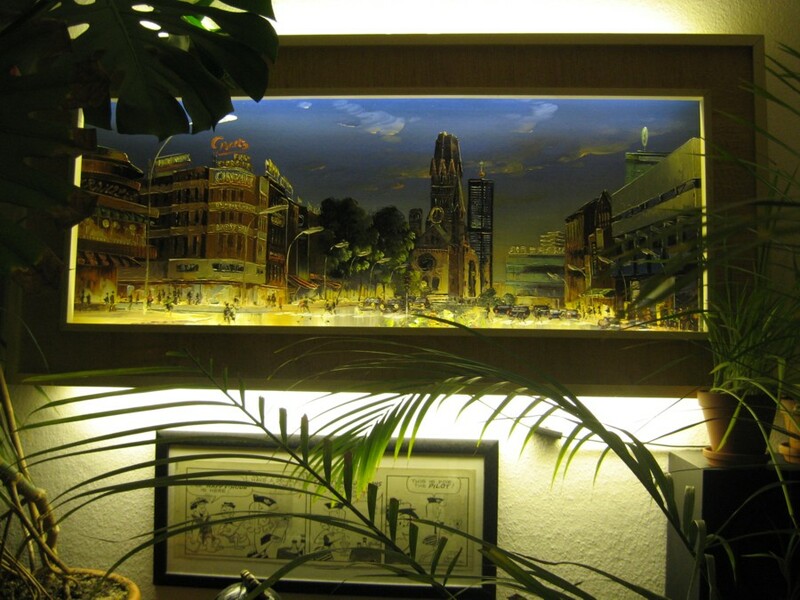 It is still one of the most well known Berlin tribute songs.